of odonatological observations and investigations in Ukraine. News of the web site "Dragonflies of Ukraine"
07.07.2014 Lindenia tetraphylla - a new species for Ukrainian fauna (Savchuk, Karolinskiy, 2013). Pages updated: New Articles, Checklist, Information, History of Ukrainian odonatology, Literature. 26.08.2011 A list of publications by Nataly Matushkina was updated. 16.03.2011. Skvortsov V.E. The dragonflies of Eastern Europe and Caucasus: An illustrated guide: Moskow: KMK Scientific Press Ltd. - 2010. 623 p. Download here. 14.03.2011. A list of rare plants and animals species was approved for Odessa Oblast. More details. 2.02.2011 A list of publications by Nataly Matushkina was updated. 30.08.2010. A chapter Conservation was updated. 29.06.2010. A website "Dragonflies of Moldova" was created. 11.04.2010. "Ukrainian entomofaunistics" - first Ukrainian on-line entomological journal. V.J. Kalkman, J.-P. Boudot, R. Bernard, K.-J. Conze, G. De Knijf, E. Dyatlova, S. Ferreira, M. Jovic, J. Ott, E. Riservato and G. Sahlen. 2010. European Red List of Dragonflies. Luxembourg: Publications Office of the European Union. P. 1-28. Download PDF. 18.03.2010. Thesis for a degree of Candidate of Biological Sciences (Ph.D. (Biology) by Elena Dyatlova added on a website. Download PDF. Matushkina N.A., Guga E.K., Buy D.D., Limarenko D.A. Dragonflies (Insecta, Odonata) of the Udai River Part of the Sula River Ecological Corridor (Central Ukraine): a preliminary checklist // Nature Reserves in Ukraine. - 2009. - 15(1). - P. 70-71. Download PDF. 11.03.2010 List of publications by A. Martynov was updated. 2.03.2010. Entomological conference (Uman', Ukraine, 15-17 October, 2010). Submit your applications until the 1st of April. More information. Информационное письмо о научной конференции: «Современные проблемы энтомологии», 15-17 октября, Умань. Заявки принимаются до 1 апреля 2010 г. 8.02.2010 "Help and cooperation" section updated. Letter from Robby Stoks (University of Leuven, Belgium). 12.01.2010. A website Dragonflies (Odonata) of Kharkov Region was created by Eugene Karolinskiy. 10.01.2010. A new website "Drangonflies of Hungary" is out. Thanks to Andras Ambrus for information. 2.01.2010 11 December 2009: Elena Dyatlova defended her PhD Tesis: "Dragonflies (Insecta, Odonata) of the southwestern Ukraine: biodiversity, ecology and conservation". More details are coming soon. 5.11.2009. Vadim Stain, odonatologist from Russia. Lopes-Andrade et al., 2009 - PDF. 23.06.2009. Review on Crimean odonates is just released: L. Khrokalo, G. Prokopov. 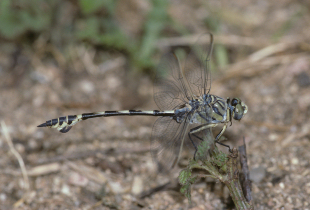 Review of the Odonata of Crimea (Ukraine) // IDF-Report. - 20. – 2009. - P. 1-32. Please contact authors to get pdf, the file is too big and could not be submitted at narod.ru. Thanks. 13.04.2009 New publication: Мартынов А.В. Фауна стрекоз (Insecta: Odonata) Ровенского природного заповедника // Фундаментальні та прикладні дослідження в біології: Матеріали І Міжнародної наукової конференції студентів, аспірантів та молодих учених (23-26 лютого., м. Донецьк). – Том І. – Донецьк: Вид-во «Вебер» (Донецька філія), 2009. – С. 210-211. PDF Cкачать полный сборник конференции здесь. 10.03.2009 Ukrainian odonatologist R.S. Pavlyuk. 9.03.2009 New photos of dragonflies by Igor Kovalev, Maxim Yakovlev and Dmitry Kivganov. 01.01.2009. Olga Kuvykina - new friend of "Dragonflies of Ukraine" from Moscow province. About the project | Contacts | Help of volunteers ©2007 "Dragonflies of Ukraine "